Coming in at more than 560 pages, the new tax reform recently signed by President Trump carries with it many questions and concerns. For starters, many church leaders and nonprofit organizations have expressed concern that the GOP tax bill will negatively affect giving in 2018. In this article, we don’t want to dive into the nitty-gritty of the tax bill and whether or not giving will be positively or negatively influenced, but we do want to provide you with four ways you can prepare your church for the GOP tax bill. Many people don’t give to their church because they get a deduction on their taxes. Sure, this is a great benefit, but, as a church leader, it’s important to preach the gospel and teach what the Bible says about giving to encourage people to give. We are transformed into generous people through faith in Christ. The tactics you use and the giving campaigns you employ can influence people to give. But it’s God’s grace that will empower you and your church to become generous givers (2 Cor. 8:1-9). There is a ton of advice available on how individuals should prepare for the GOP tax bill. The best thing you can do for your church is to consider offering financial coaching or counseling. For example, if you have a CPA or certified financial planner in your church, see if he or she can provide education for the members of your church by leading a one-time event or class. Prepare a special offering or giving campaign in the spring to coincide with the time many people will receive their tax refunds. Many people, especially parents with children, will see an increase in what they bring home. At the moment, you can have a good idea of what to expect with the new tax bill. But, until it has been implemented, it will be difficult for you to know for sure how this bill will influence giving in your church. 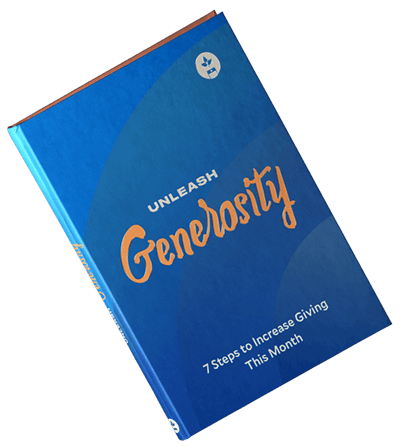 So, it will be a good idea to keep a closer look at the trends in giving in your church. If you observe an increase in giving, here are some questions you can ask to help you identify the cause. On the other hand, if you see a decrease in giving, here are questions you can ask to get to the root of the problem. How is your church getting ready? Share your thoughts in the comments below!